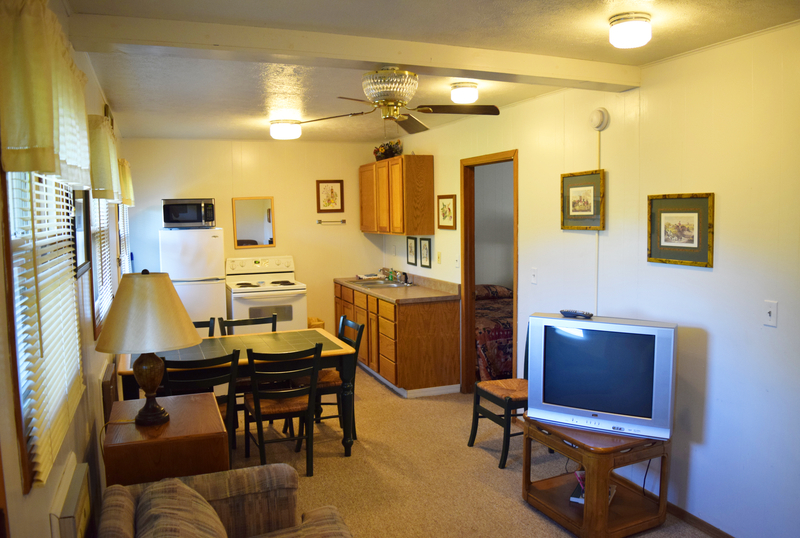 All of our cabins have heat and air conditioning, color cable TVs, and are stocked with coffee pots, microwaves, toasters, stoves, plates, pots, cups, utensils and silverware. The Cottage and Cedar Cabins all have range ovens and the Cedars have dishwashers as well. Each unit has a charcoal grill and picnic table. Linens are provided except pool and beach towels. Recently built-three bedrooms and two baths. Master has a queen size bed and the other two bedrooms have two full size beds in each. The kitchen is fully equipped with full size appliances including a dishwasher. Good size family rooms with a fireplace, cathedral ceiling and sliding doors to your 200 sq. foot covered deck. Sleeps two to twelve. We only have one and it is pretty popular! 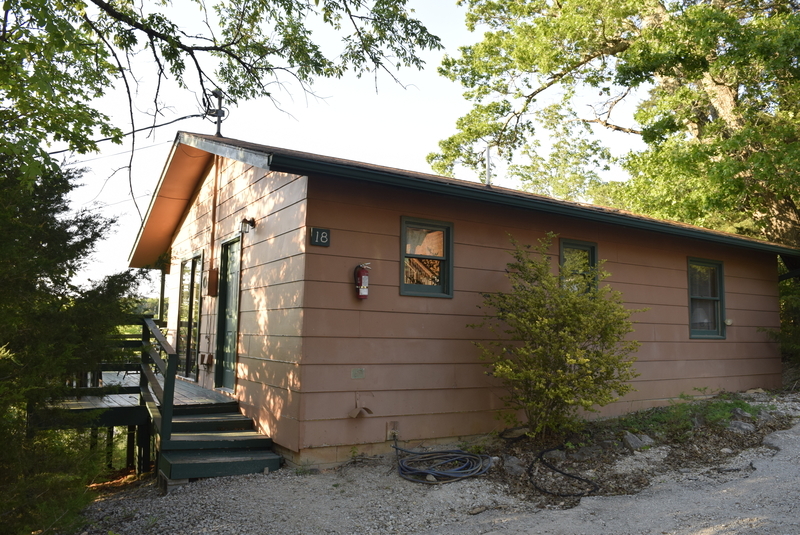 The cottage is a two bedroom unit with one full size bathroom. Each bedroom has two full size beds. 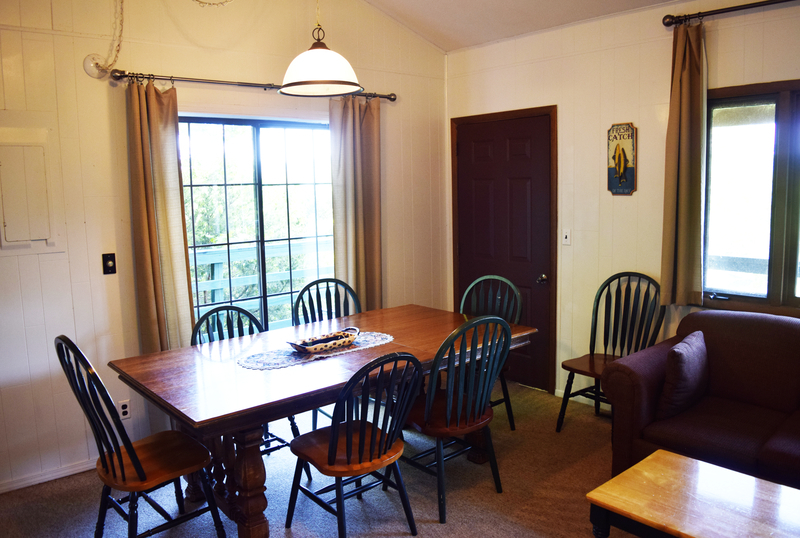 The kitchen is fully equipped with full size appliances and the dining room is equipped with seating for eight! The deck is on two sides with a nice view of the lake and a small clearing with a deer feeder. The cottage sleeps two to eight. These are the same as the small duplexes, however, the living area is larger with bigger furniture including a sleeper sofa and the bathroom is a shower without a bathtub. These units sleep two to six people. This particular cabin is unique because it was originally 2 small duplexes. Now it has been converted and newly remodeled to be a 2 bedroom/2bath unit. It has a full kitchen and large living space. 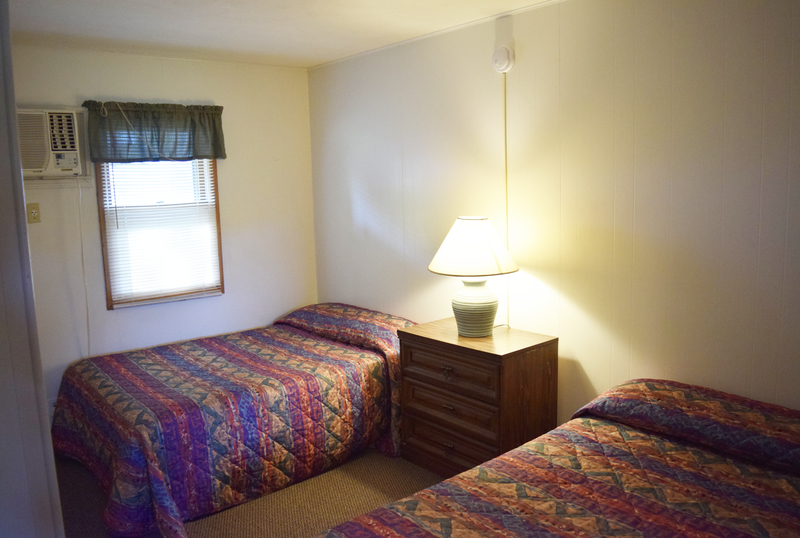 Both bedrooms are stocked with 2 full size beds, closet space and private bath. There is a sleeper sofa in the living room. This unit sleeps 2-9 people. 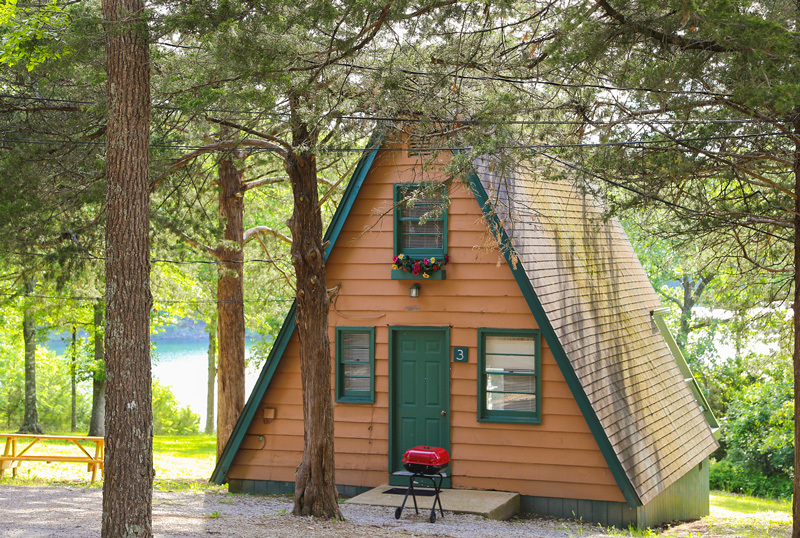 Our A-Frames are individual cabins that have two bedrooms. One bedroom is upstairs in the loft and sleeps four people, and one queen bed is in the downstairs bedroom. The bathroom is equipped with a shower only. The cabin also has a nice small deck to enjoy your morning coffee. The A-Frame sleeps from two to six people. 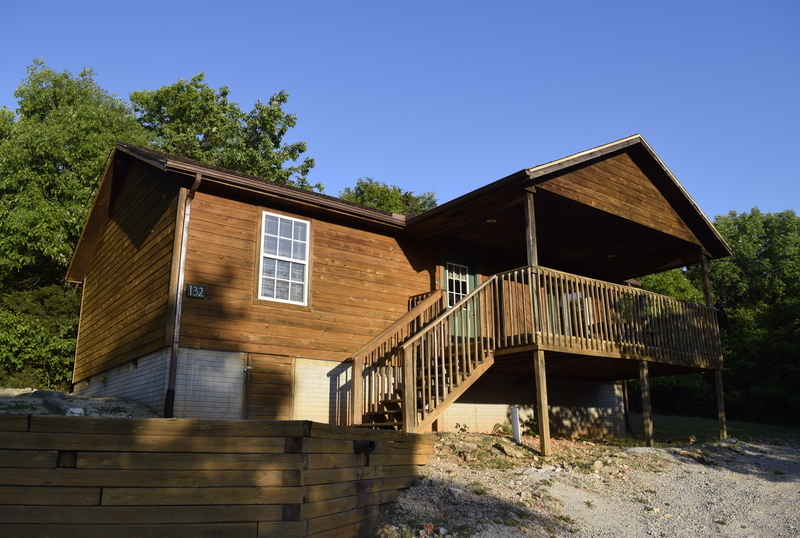 We price this cabin economically for families in the summer and for couples in the spring and fall. These two room units come with one bedroom and a kitchenette/living room. Basically, it is set up like a hotel room with the addition of a kitchenette. The bedroom has two full size beds and a full bathroom and sleeps two to four people.